140 million hours a day are spent collecting safe water in developing countries. But a project to supply Blantyre, Malawi’s business capital and second largest city, with water from the Mulanje Mountain Forest Reserve, about 80 kilometers away, has drawn protests from residents, who say they need the water themselves – and they were not adequately consulted about the plan. This month, 24 protesters were arrested and brought to court on charges related to demonstrations, blocking access to the water project site or, in some cases, trying to release those arrested from a local police station. Oscar Kachika-Phiri, a spokesman for the group, said that the move by Blantyre to tap water from the area “is going to deprive the community of a resource whose levels are already down due to climate change”. Deforestation in the Mulanje Mountain water catchment has driven a decrease in rainfall and the area’s ability to hold water, he said. He said his district already needs to ration water supplies in dry periods, and families feel the situation will get much worse if water begins being diverted to Blantyre. “We can’t serve Blantyre before we serve ourselves,” the soft-spoken community representative said outside the recent court hearing in Mulanje. Local people disrupted a planned visit to the Mulanje area by the country’s water minister last year, according to local media. However, in January, the Blantyre Water Board signed a memorandum of understand with the Mulanje District Council and others to allow the project, on the condition that the board plant trees in the Likhubula River’s deforested catchment area, the demonstrators aid. Priscilla Mateyu, a spokeswoman for the Blantyre Water Board, said the Mulanje Mountain project is only a partial answer to Blantyre’s water problems, which include some townships losing access to water for several hours a day on a regular basis. The board is also looking at tapping additional water from the Shire River as a longer-term answer to shortages, and dredging silted water storage reservoirs to increase their capacity, she said. ”The board continues to face a lot of challenges,” she said in emailed comments. For instance, as a temporary solution to water shortages, it is paying about half a billion kwacha ($690,000) every month in energy costs to pump water to Blantyre from an area called Walkers Ferry. Tapping water from Mulanje Mountain “will ensure that some water will be supplied using gravity, thereby lessening the energy costs”, she said. The project, expected to be completed in April 2019, will ensure a stable supply of water to residents of both Blantyre and surrounding areas, she said. ”This supply will be sustainable and will also improve the healthy living of residences as people will not be drinking unsafe water from unsafe sources,” she said. She said the board had “consulted extensively” on the Mulanje Mountain project and “reached an agreement by signing a memorandum of understanding with Mulanje District Council, concerned citizens and traditional leaders within the project area to carry out the works”. “What everyone should know is that this is a very important project and will improve lives in surrounding districts (of Blantyre),” she said. Blantyre is not the only major Malawian city looking for new supplies of water. As droughts strengthen across southern Africa, in line with predictions about expected impacts of climate change, Malawi’s capital Lilongwe also is planning a project to pipe in water from Lake Malawi. 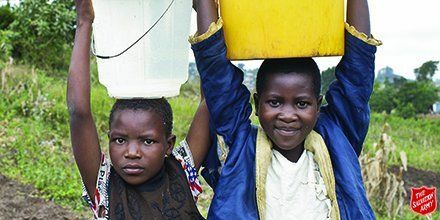 Joseph Magoya, a local program officer at Water for People, a US-based water charity, told the Thomson Reuters Foundation that water has gradually been running short in Malawi’s cities as a result of growing urbanization. Blantyre currently has 730,000 people, about 70% of them living in informal homes where access to water has been growing more difficult, according to Water for People figures. Ironically, more high-intensity rainfall and flooding – also a result of climate change – are adding to the city’s water shortage problems, he said, by washing out water systems and by leading to alternate floods and dry periods on rivers supplying water to the city.